A remarkably precocious pianist, Marie-Ange Nguci (pronounced Mah-ree-ANSCH GUCCI) moved to France from her native Albania to study with Nicholas Angelich at the Conservatoire National Supérieur de Musique de Paris. By the age of 16 she completed her Master’s Degree in Piano Performance with first class honors, conferred by the unanimous decision of the jury. As a 20-year-old, Ms. Nguci speaks seven languages and is profiled in the French edition of Vanity Fair as one of the young people who are changing the world for the better. 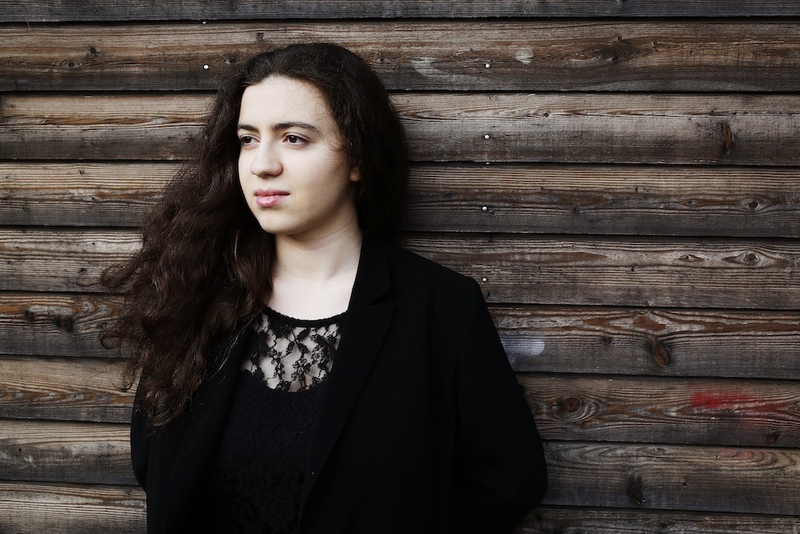 Earlier this year she was interviewed by Le Figaro on occasion of her debut at the prestigious La Folle Journée Festival and the release of her premiere album En Miroir on the Mirare label. Ms. Nguci has performed at the leading concert venues such as Cité de la Musique - the Philharmonie de Paris, Théâtre des Champs-Elysées and Salle Cortot, Geneva’s Palais de l’Athénée, and the Royal Albert Hall in London. She is regularly invited by some of the world’s top festivals, including Festival de piano de La Roque d’Anthéron, La Folle Journée in Nantes and Tokyo, Festival Chopin de Bagatelle, La Grange de Meslay, Piano aux Jacobins, Chopin à Nohant, Kissinger Sommer, Beethovenfest Bonn, Musikmesse in Frankfurt, Klavierfestival Essen, and the International Keyboard Institute and Festival in New York. Having won her first competition (Lagny-sur-Marne, France, 2011), Ms. Nguci went on to receive many other awards including, most recently, the First Prize at the MacKenzie Awards International Piano Competition in New York and the Charles Oulmont 2016 Award for Music. She has also been honored to receive career development grants from the Yamaha Music Foundation, the Meyer Foundation, the French American Piano Society, the International Academy of Music in the Principality of Liechtenstein, the ADAMI and the Foundation L’Or du Rhin. Ms. Nguci is also laureate of the “l’Europe du Piano” project. In the summer of 2018, she received the Grand Prix of the Société des Arts de Genève Competition (Les Jeudis du Piano Festival). Her extensive repertoire ranges from baroque to classical and romantic to contemporary. Inspired by the music of our time, Ms. Nguci enjoys working with composers such as Thierry Escaich, Bruno Mantovani, Graciane Finzi, Pascal Zavaro, and Karol Beffa on the interpretation of their works. Endlessly curious both musically and intellectually, Ms. Nguci is now working towards her Doctorate of Music (PhD), as well as a Master’s Degree in Musical Analysis and Musicology, at the CNSMDP and the Paris-Sorbonne University. Ms. Nguci also holds a Master’s degree in music pedagogy and the Certificate of Aptitude of Professor, conferred by the Paris Conservatory. In addition to the piano, she plays the organ and the cello, and holds a Diploma of Ondes Martenot from the Paris Conservatoire. A year spent at Vienna’s famous Universität für Musik und Darstellende Kunst allowed her to get acquainted with the basics of conducting in order to develop a deeper understanding of the relationship between an orchestra and a soloist, and to acquire new approaches to musical architecture and interpretation.